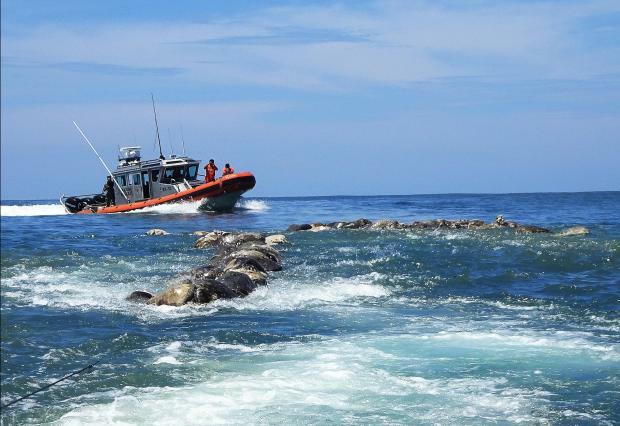 The olive ridley turtles, which Mexican authorities say are at risk of extinction, measure about 75 centimeters in length and weigh some 45 kilograms. From May to September, they descend on various Mexican states along the Pacific Ocean to lay their eggs. Mexico, which is home to six of the world's seven species of sea turtles, has a permanent program to protect the reptiles, including criminal penalties for those who kill them. The office of the federal attorney for environmental protection (PROFEPA) said it would investigate the case.